It’s not yet been a year since the feud between Pusha T and Drake came to a head, though many people are happy to believe it had been put to bed. But was it really? Some fans seem convinced Pusha T has once again thrown down the gauntlet with a single, very cryptic, tweet. Some feuds between musicians go back years, sometimes stemming from nothing more than where they are from or which label they are signed to. 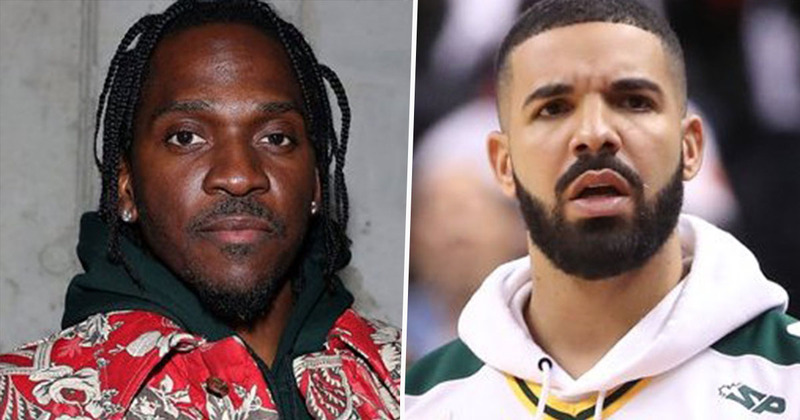 The beef between Pusha T and Drake seemed to come from their allegiances to fellow rappers and label mates, using tracks and performances to throw shade at one another. This is nothing new, however – rappers fire lyrical shots at other rappers all the time. However, things came to a head when, in May 2018, Pusha T released his album DAYTONA, which – on the track Infrared – he called out Drake for allegedly using ghostwriters to pen his tracks for him. Less than 24 hours after DAYTONA‘s release, Drake dropped his Duppy Freestyle, which fired shots back at Pusha T, even saying he owes Drake money as the diss track would help boost sales of Pusha’s album (don’t they all?). Pusha picked up on this, of course, and – as well as escalating their beef – it did turn into some pretty hilarious publicity, too. Things didn’t end there, however. Perhaps the most infamous part of their continuing feud was Pusha T’s following track The Story of Adidon, which purported that Drake had a secret child with former adult film star Sophie Brussaux, High Snobriety reports. The single’s artwork also featured a controversial photo of Drake appearing in black face makeup. Shortly afterwards, Drake issued an apology and explanation of the photo and – it seemed – the sparring between the two artists had ended for a while. Is this aimed at Drake? Plenty of fans seem to think so, hailing the tweet as ‘the return of Pusha Thanos’. This may sound convoluted, but could it be that Drake has responded to Pusha T who was responding to The Weeknd (positively) regarding his recent track Lost In The Fire, which apparently also contained a dig at Drake? Did Drake switch his allegiance by unfollowing The Weeknd on Instagram and starting to follow Soulja Boy instead? Soulja Boy did recently say he taught the Hotline Bling crooner ‘everything he knows‘, after all. Who knows. Told you it was convoluted. I would love to know what or who Pusha T was referring to, though.